Over the years I have developed a great love of accessories – especially jewellery. I think this stems back to a time when it was harder to find beautiful clothing that fit so accessories became my best friend! If all I could find to wear was a simple and boring black dress, at least I could always find a beautiful statement piece, like a necklace, to adorn it with to give me that extra sparkle I was looking for. 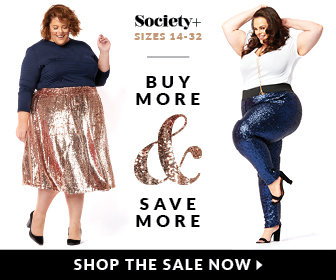 And over the years I have come to find that most plus size women that I meet own a rather expansive and impressive collection of accessories and jewelry and I would assume that this stems from a story that is quite similar to mine! Now, with Valentine’s Day right around the corner I have been in the mood to feature some beautiful jewellery pieces that have caught my eye at Michael Hill. Over the past few years, I have been buying a lot of cheap, “fast-fashion” jewellery and I have grown sick of it always tarnishing and breaking on me. So I decided to go on a hunt to find high-quality and affordable jewellery that wont break after one week of wearing it! This is where I discovered that higher-end jewellers like Michael Hill actually carry really beautiful statement pieces that don’t cost thousands of dollars. I was always under the impression that they only carry engagement, wedding and anniversary jewellery which is not the case at all, they actually carry an endless amount of fashion jewellery pieces too – they literally have something for everyone. Check out my top picks from Michael Hill below. Note, that you are going to see a lot of rose gold pieces in my picks. It is such a beautiful option and is super on trend for 2016 – I literally want to adorn myself in rose gold from head to toe! Really in love with rose gold at the moment, I’m normally a silver girl but there are some really gorgeous pieces out there.